The title made me smile - an image of me dressed as a cowgirl in stetson and with a lasso sprang into mind! 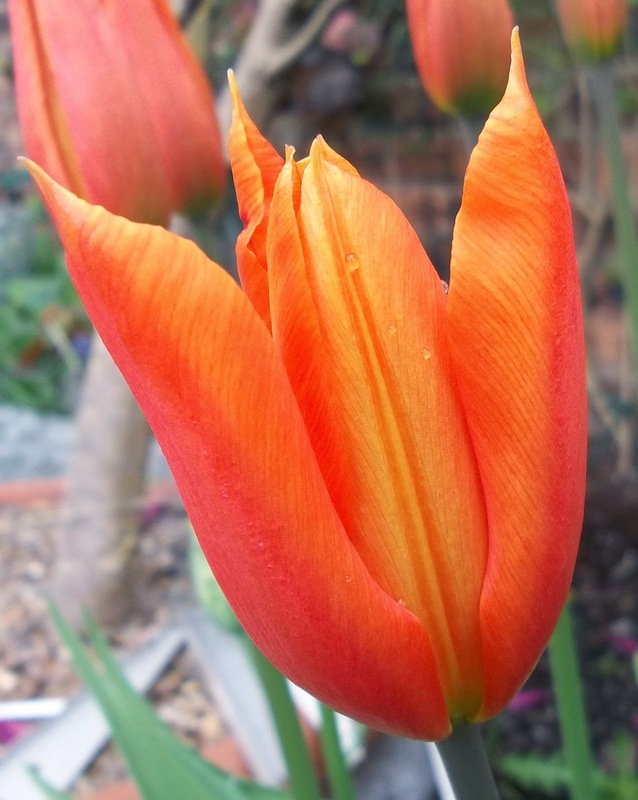 Really, this post is an excuse to look at some of the plants flowering in my little garden at the moment. 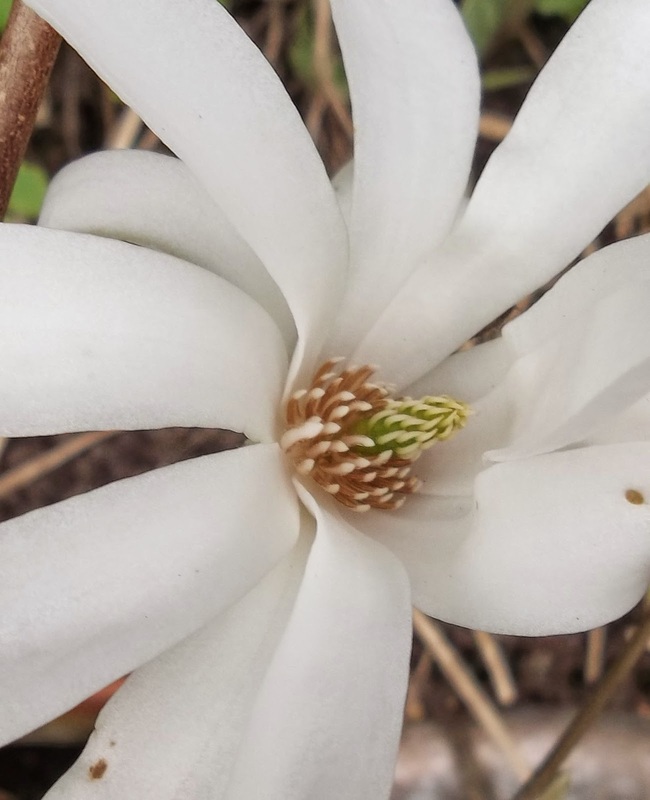 First is Magnolia Stellata with its intricate centre and star like flowers. 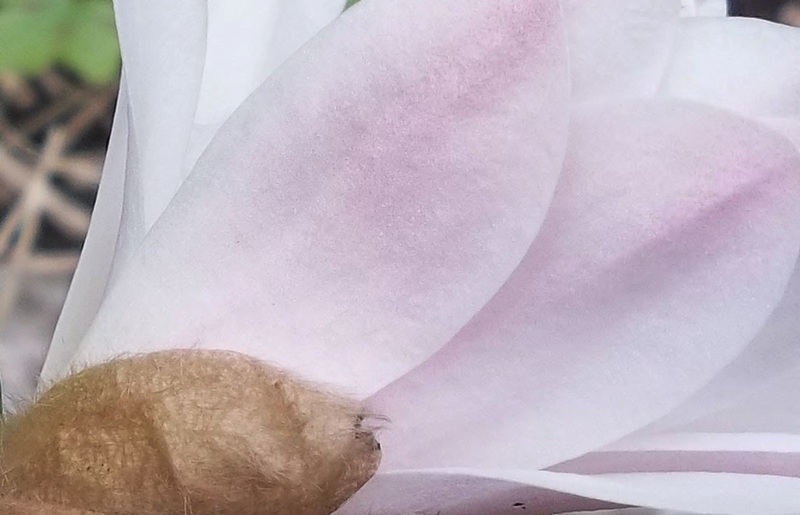 The outside of the flowers have the subtlest delicate pink shading. Cheerful pale yellows courtesy of primroses and primrose/cowslip cross. 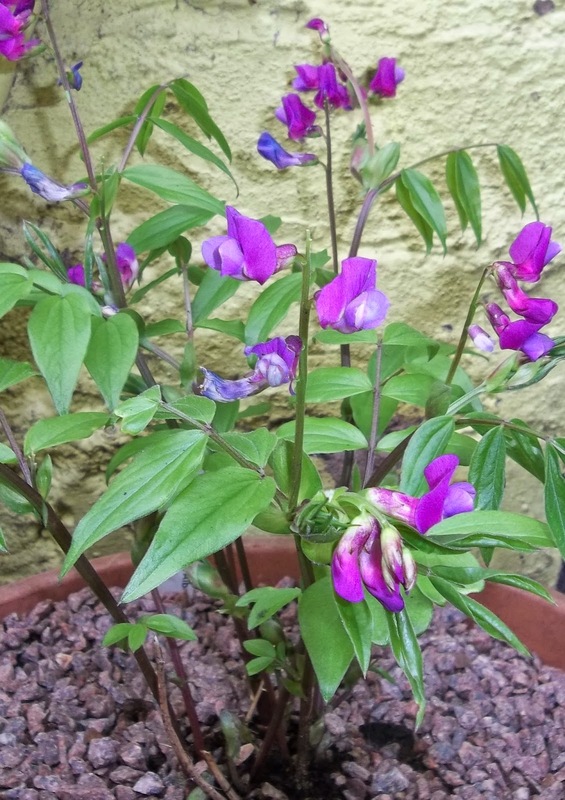 Beautiful pea-like flowers of lathyrus vernus ( I finally got round to planting these into larger pots and they have rewarded me by flowering really well). 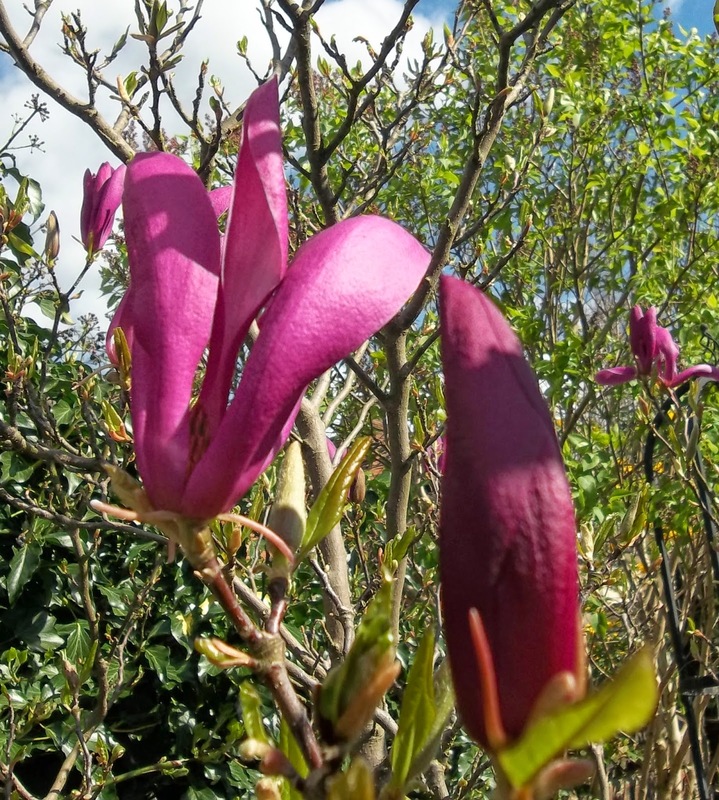 The stately flowers of Magnolia Susan. 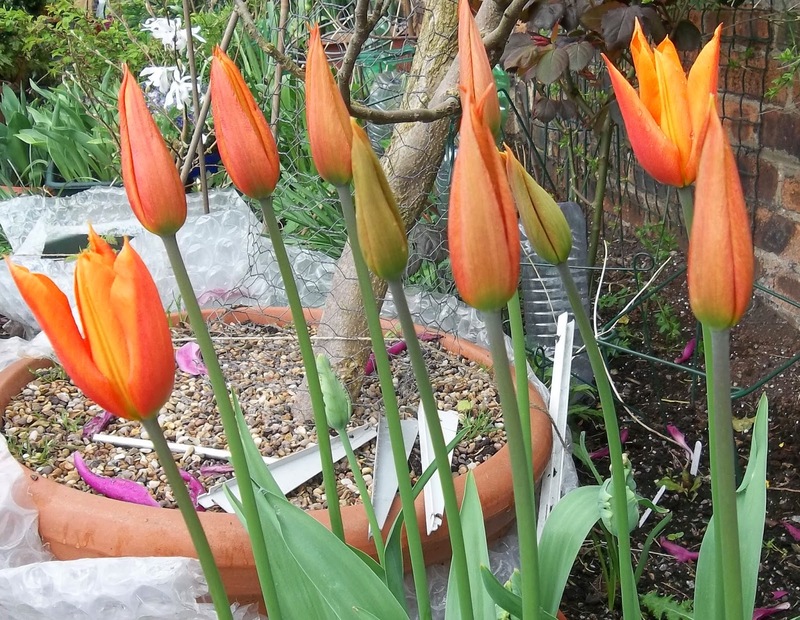 Last year's Ballerina tulips - a lot earlier than the new ones I planted last autumn and giving a burst of fiery orange. Here they all are (apologies for the less than beautiful bubble wrap around the pots - a necessary evil). 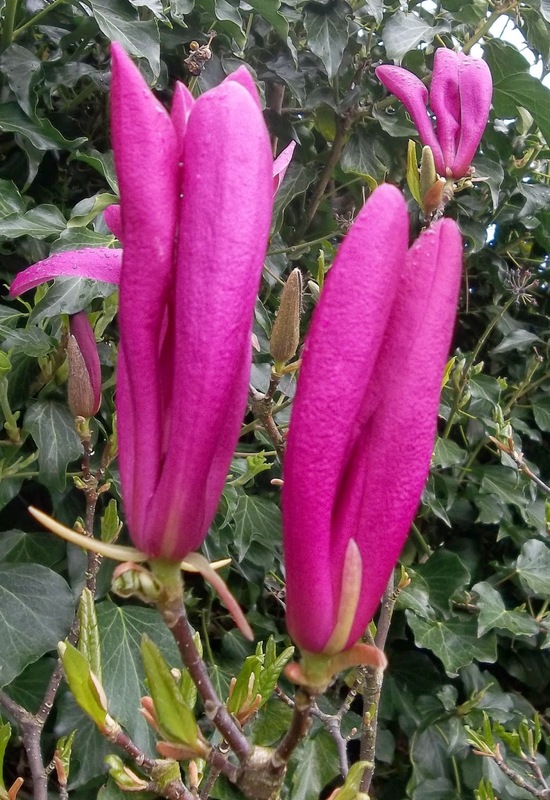 ...and a last look at the lovely flowers which have a delicate lemony scent in the sun. Thanks, Joy. It is a lovely time of year and there is so much to be grateful for. Gorgeous flowers Ellie, spring blooms have to be the best of the year! Thanks, Anne. They may be a little more fleeting, but that makes them all the more special. Thanks, Joy Spring proper is definitely here and everything is looking rather lovely. 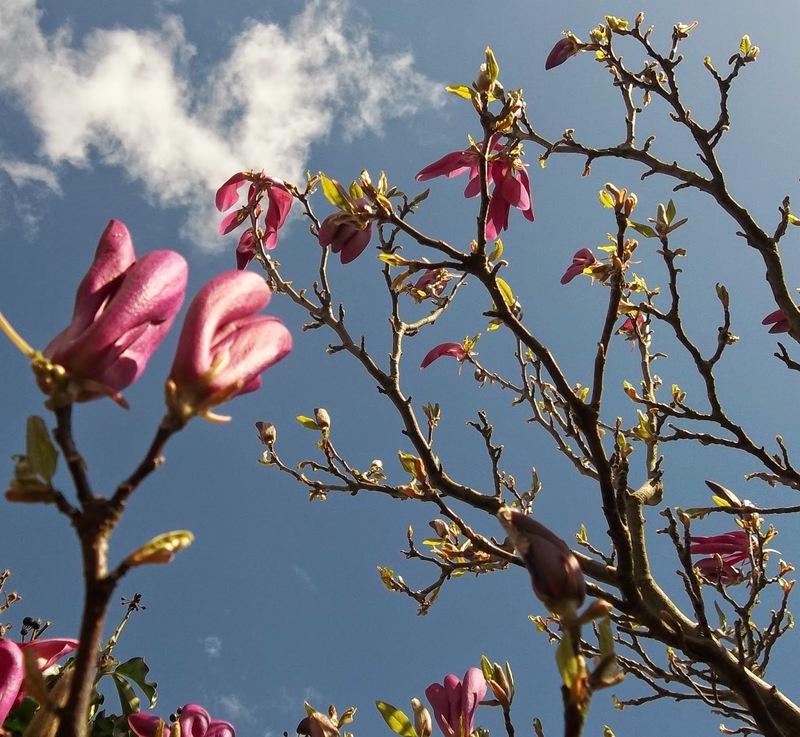 I would love to have the space for one of the really big magnolias - until then, I'll have make do with mine. Thanks, Lee and welcome. 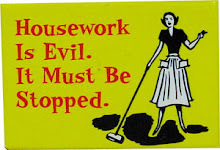 Me too - although I have only got a small garden, I have tried to cram it full of flowers and I am also growing annuals to plant out for the summer. I hope you have a successful gardening year.